From doing a bit of research on Cross in Hand Lane, I knew Farewell had been the site of Benedictine nunnery and also that the placename (sometimes spelt as ‘Fairwell’) refers to a nearby ‘fair or clear spring’. I had no idea what was left of either, the nunnery or the spring, so on the way home from Castle Ring, we stopped off for a look around. The most striking thing about the church is the mixture of the two different building styles and materials. 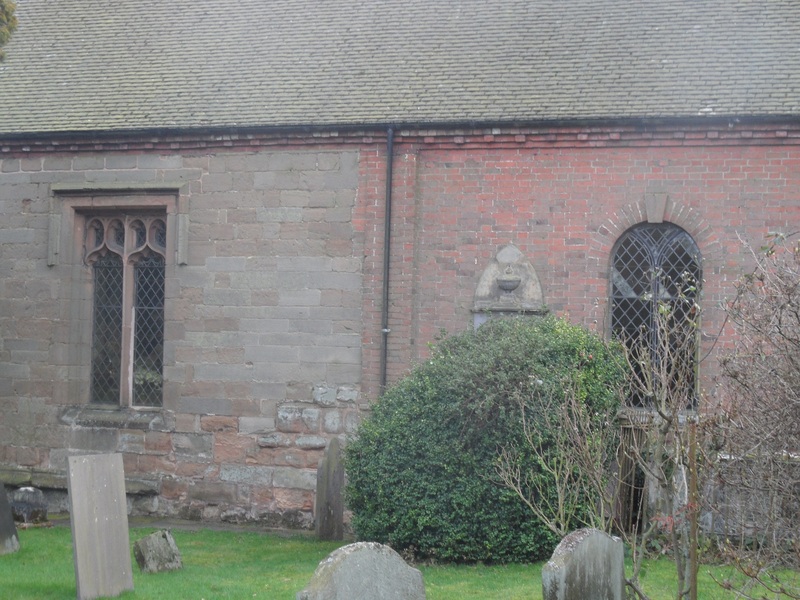 It seems the original church (which you can see here on the Staffordshire Past Track website) is thought to have contained parts of the nunnery which was dissoved in 1527. Most of the old building was demolished & rebuilt in brick in 1745. 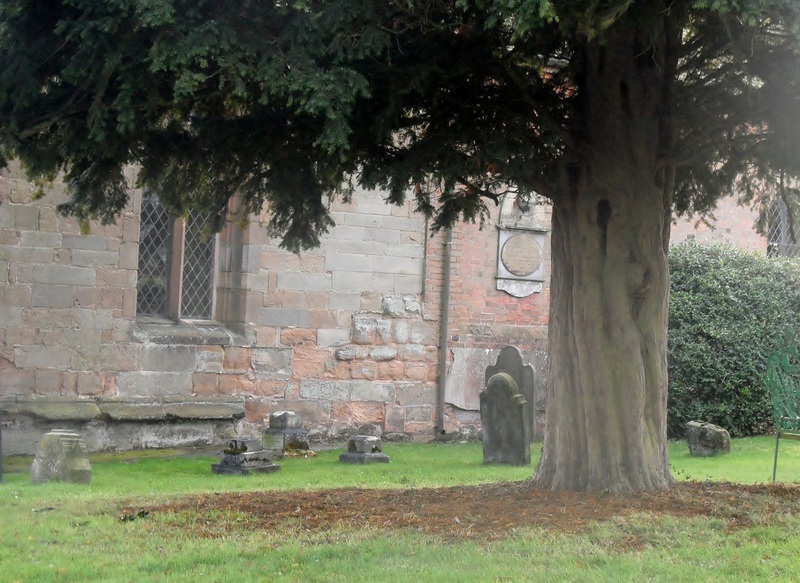 However, the stone chancel remains. Below are a couple of photos showing the contrast between the chancel and the rebuilt part of the church . I’m not sure but the bottom right corner of the older, stone built part of the building looks different again? The two different parts of the church. Have a look from a slightly different angle. Whilst these renovations were being carried out, workman made a discovery. According to Richard Greene, in the south wall, six feet off the ground were three rows of earthen vessels. 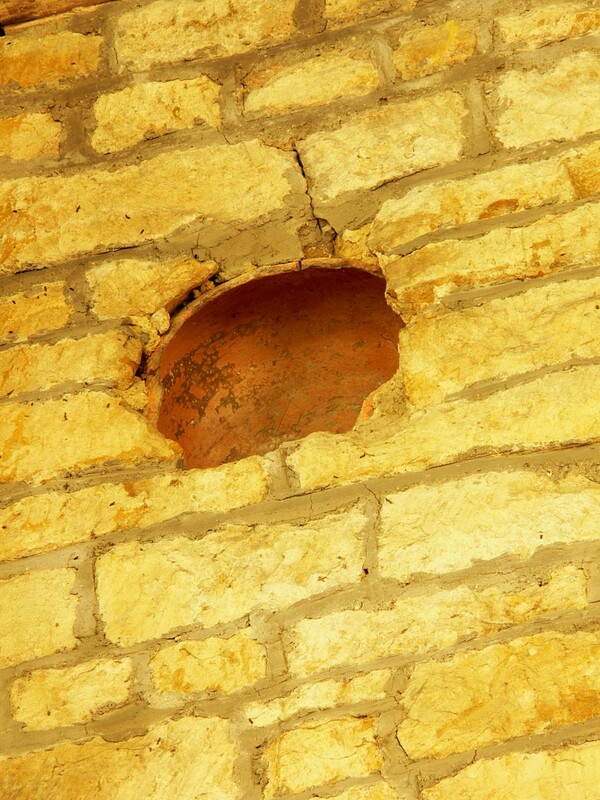 Each row contained vessels of a different size (the smallest was 6 1/4 inches high) lying on their side, openings covered by a thin coat of plaster, facing towards to interior of the church. All but three were broken in the process and one of them was kept at Richard Greene’s museum. You can see the picture here on the Staffs Pastrack website plus the letter written by Richard Greene to The Gentleman’s Magazine outlining the finds. Initially, I found a couple of reference to the discovery of the Farewell Jars but no explanations or suggestions to why they were there. 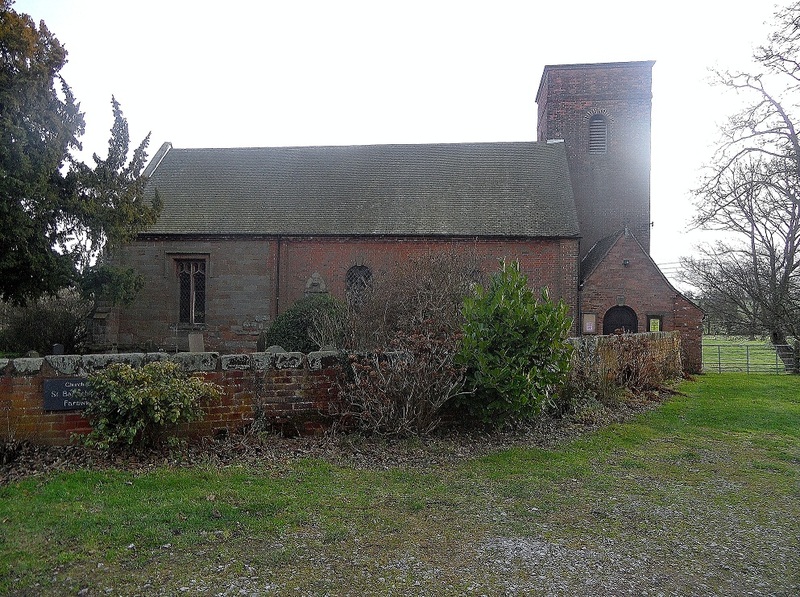 Eventually, after a bit of searching, I came across a book on Church Lore (1), with a whole chapter devoted to ‘Acoustic Jars and Horses’ Skulls’ which specifically mentions the jars found at ‘Fairwell, Staffordshire’, describing how jars were used for enhancing the acoustics of a building. The idea is thought to date back to a Roman architect called Vitruvius. There are other examples of this idea throughout the country, and Europe, including St Andrews, Lyddington as below. I’d love to know what others think about this and want to look more into this acoustic jar business. I’m also wondering where the rest of the nunnery, dedicated to St Mary, is ? I’m not saying farewell to Farewell, just yet….